Toronto, 18 years old now, had a tough couple of months at the start of this year. And Maestro became 24 years old last April! But their ‘mental’ game is strong at the moment! So we did some groundwork and longeing in the last couple of weeks. He doesn’t forget if you didn’t do something for 10 months. And another fascinating thing to see is, that if you DON’T do something for a while, that when you return to that something, they do it with an even better understanding and more motivation. A horse that is motivated but doesn’t understand what the game is about, won’t play your game. But a horse that understands what you want, but isn’t motivated, won’t do it either. So understanding and motivation are two important keys to play the game. With horses, once they learned something new, then it’s good to give them a break for 6 to 8 weeks on that particular new item that they just learned. So you simply leave it for a while, and you do not ask for it. Then, when you come back at it after a few weeks, they are better at it as ever before! If you taught them to carry a saddle and a rider, leave it for 6 to 8 weeks, and then come back to the riding. This approach will give your horse time to sink in, and as a result, your horse will carry you with much more confidence after those 6-8 weeks. If you taught a horse the flying change, leave it for 6 to 8 weeks, and he will do it with so much more confidence as if he has been doing it all his life. Because here’s the thing: if you had kept doing it in those 6 to 8 weeks, the quality would be much lower, guaranteed! If you have done something new at liberty with your horse – or with 2, or 3, or 4, or 5 horses – and everything is going quite nicely, then don’t do it for a while. Then, when you return to it, everything will go much smoother! More isn’t always better when it comes to teaching your horse something new. So when teaching a horse something completely new, such as carrying a rider, doing a flying change, performing a levade, doing STuff at liberty, horse trainers are better off giving their horses breaks, rather than daily drills. Most horses trained once or twice a week for a short period learn more between sessions than those taught every day in long lessons. The brain needs time to process what it has received. It needs time to a sort of ‘archive’ what has been learned. It has to move from the ’24h memory’ into a part where it is stored in a sort of ‘cement’. 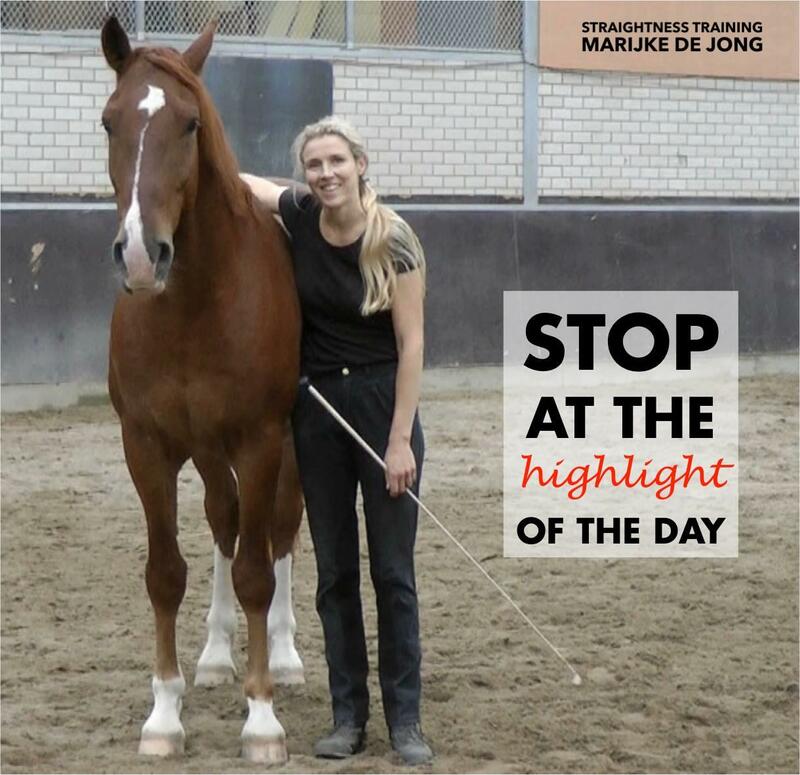 To reinforce desired behavior, we Release, Reward, and Relax in ST.
Each of these reinforcers is incredibly important, but many riders focus on one of these but forget the other two. So when your horse does something right, remember to rest and relax! Short rests for simple tasks, such as lining up next to each other. 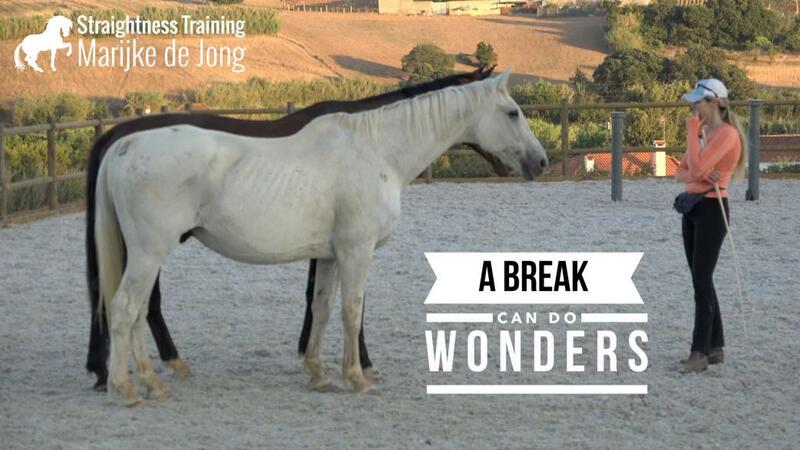 This is the ‘relax’ part of the 5R Formula and about giving a horse a moment of relaxation within a training session. Long rests for complex tasks, such as the flying change. 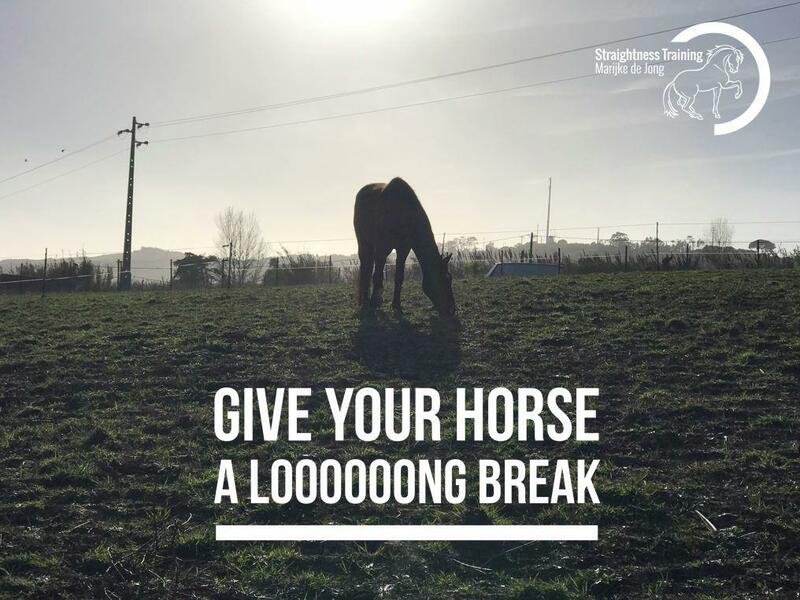 This is giving your horse a long break, varying from a few days to a few weeks. And in-depth learning needs deep sleep! The most effective break of all is being at night when the horse is sleeping. The pathways of neurons that fire when a horse learns a task, are re-fired during deep sleep. How does a horse get into this deep sleep? A horse can doze standing up but must be lying down – either lying chest-down or on his side – to experience this important deep sleep. Horses don’t sleep like humans, so they don’t need 8 hours of lying down, 30 to 40 minutes in 24 hours is enough. Now a horse needs to feel comfortable and safe enough in his environment in order to relax and get into this deep sleep. So if he’s in a stall, make sure he has enough room to lie down. Insufficient bedding can also make it uncomfortable for the horse to lie down, so keep an eye on that too. Sleep is a very important part of the horse’s learning process! And not only that; it’s also a very important part of his overall health. Every horse is unique, and we have to figure out what suits him best in the learning process. Some horses learn something – for example the exercise haunches-in – by teaching it 7 training days. 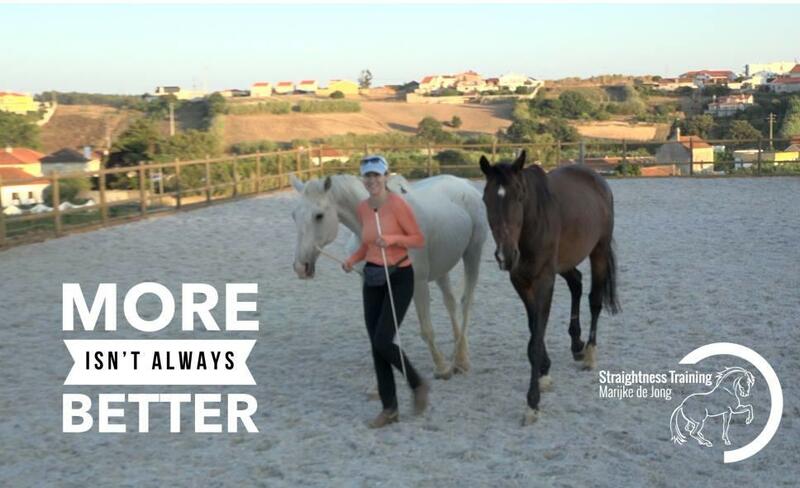 Other horses learn something in fewer sessions if they are trained every other day, instead of every day. And some horses perform better if they are trained once a day over seven days, instead of seven times in a row. Again, this also depends on the complexity of the task. We have to figure out the ideal total number of training sessions, so we know how to approach the teaching process. And by trial and error, your horse will let you know. Horses trained seven times a week for a short time. Horses trained one to two times per week for a long time. Horses trained daily in long training sessions often perform worse. So that’s something to think about. What a horse knows, he knows! What your horse has learned and understood, he will remember forever. Regardless of how a horse is trained, once he understands what to do, he will perform the behavior at any time – of course only if he’s motivated to do it. So once your horse has learned to carry a rider, do a flying change, perform a levade, he will never forget. The same applies to undesired behavior by the way! So don’t give your horse a long break after he did something you don’t want him to repeat! So always make sure to stop at the highlight of the day! 1. First, we’ll first do a brand new, and free, Mini Mastery Course to give you insight in where to start with the Straightness Training, what to do next, and how to deal with challenges and setbacks along the way. 2. After that, the doors will be opened to the ST Mastery 2018 Class for those who would like to take serious action. In this class, you’ll get step-by-step coaching, personal feedback, and 24/7 support to get to the next levels of you and your horse’s abilities. And anyone with any horse can join these two parts – no matter what age or breed or level of competence – there are no admission requirements to enter. Love this article, and I experienced it is so true! Very short sessions are much more motivating than long tedious ones, and once or twice in the week works better than daily sessions, for our horses. They are so happy to work with you when they know it will be a short session with a lot of praise and reward! However, we also find that some horses are active learners, and some are passive learners – just like people? If you give a passive learner a long break of more than a couple of weeks, they tend to have forgotten most of what they learned. 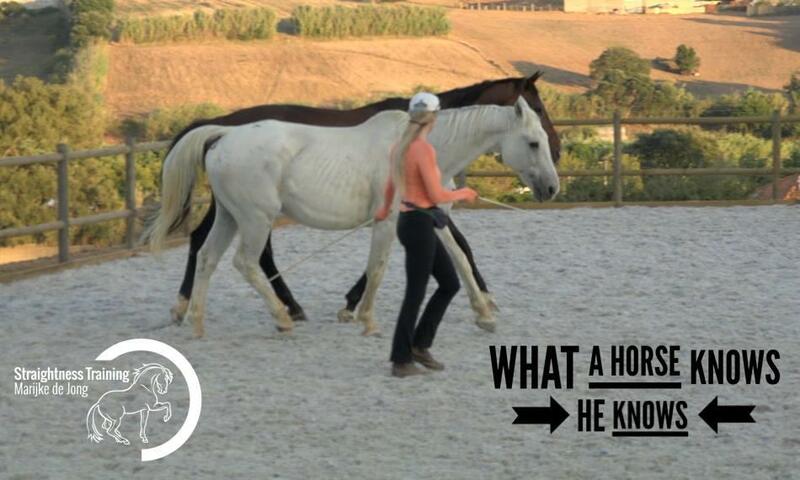 Luckily most of our horses are active learners, and they remember everything they once learned! Stop at the Highlight of the Day. Well this hit me hard because I had a very bad accident and came off my horse. There was no way I could get back on there and then. I was taken to hospital with 4 broken ribs, a compressed spine and punctured lung. Since then I have not been back on yet. Now I am recovered and wondering where to start, especially if I have given him the idea that he can in fact dislodge me. Worried.